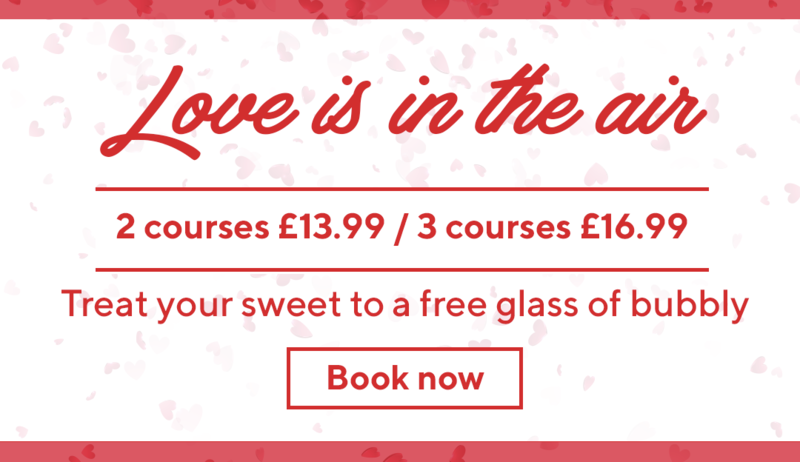 Treat your sweet to a romantic meal at Frankie & Benny’s this Valentine’s day. Frankie & Benny’s has selected its favourite dishes for a limited edition Valentine’s menu, available between 14th – 17th February, available at a price that won’t break the bank. As a special treat, Frankie & Benny’s is giving anyone that orders from its Valentine’s Set Menu a box of chocolate to take home with them. And the gifts don’t stop there, book early and you’ll also receive a free glass of bubbly for you and your loved one.